Dr. Mortenson is not accepting summer students for 2017. Dr. Mortenson has always had an interest in helping people, and so his early career healthcare is not surprising. After practicing as an occupational therapist for seven years, he returned to academia to address his clinical questions and find answers that could be used to provide more evidenced-based healthcare. Dr. Mortenson’s research is focused on aging, social participation, outcome measurement, and assistive technology. His studies include four main overlapping populations: individuals with SCI, assistive technology users, residents of residential care facilities, and both formal and informal caregivers. He is currently conducting studies exploring the effects of assistive technology interventions on users and their informal caregivers and exploring the experiences of power mobility users over time. He is starting a study to see if better scooter training will improve the social participation and safety of users. 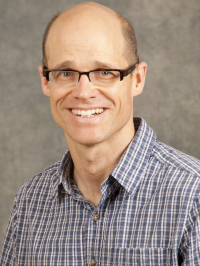 Dr. Mortenson is an Associate Professor in the Department of Occupational Science and Occupational Therapy in the Faculty of Medicine at the University of British Columbia. He is also an Adjunct Professor at the Simon Fraser University and is a Principal Investigator at ICORD. He completed his B.Sc. in Occupational Therapy at the University of Alberta, followed by his M.Sc. and Ph.D. in Rehabilitation Science at the University of British Columbia. He completed his post-doctoral fellowship at the University of Montreal, funded by a CIHR grant, and a post-doctoral fellowship at the Simon Fraser University, funded by a Banting Postdoctoral Fellowship Award. Dr. Mortenson’s research has important implications. His work on aging with SCI is relevant to a growing population. His research on wheeled mobility and social participation is applicable to individuals with a wide variety of diagnoses including SCI. Given the issue of caregiver burn-out, his findings may help find ways to improve the quality of their lives and help those they assist remain in their homes. By gaining a better understanding of the implications of assistive technology training and interventions, Dr. Mortenson hopes to increase the social participation of individuals who use these devices and to enable them to do activities that give meaning to their lives. Dr. Mortenson’s favourite aspects of working in ICORD is the collegial and supportive nature of everyone who works here. Dr. Mortenson deeply appreciates being surrounded by people with a common interest: to help people with SCI. Though his peers’ avenues of research may differ, everyone contributes to that shared objective. He also enjoys the view of the North Shore mountains above downtown Vancouver from his office window! Dr. Mortenson is involved with the Canwheel team, which has fourteen investigators from a wide variety of fields (including ICORD researchers Dr. William Miller and Dr. Bonnie Sawatzky) from six universities across Canada with. The Canwheel projects are designed to provide a comprehensive, systematic, and unified approach to enhance the mobility of older adult wheelchair users. He is also involved with SCIRE, Spinal Cord Injury Rehabilitation Evidence, along with Dr. Miller and Dr. Janice Eng. SCIRE is a collaboration project between scientists, clinicians, and consumers, which aims to translate existing research knowledge into a concise and comprehendible format for health professionals. Dr. Mortenson is collaborating with Dr. Louise Demers from the University of Montreal and the Consortium for Assistive Technology Outcomes Research (CATOR) group ona study to look at the effect of assistive technology interventions on users and their informal caregivers. . He is currently working with ICORD researcher Dr. Jaimie Borisoff on exoskeleton research and with Dr. Lee Kirby on scooter research. Wheelchairs in residential care facilities can both enable and restrain residents’ mobility and participation, according to a study done in 2012 by Dr. Mortenson and his colleagues. Quantitative work by Dr. Mortenson also suggests that improving residents’ wheelchair skills can improve the residents’ mobility and social participation. As well, it was found that providing interventions on assistive technology users is beneficial to both the user and their formal and informal caregivers. Dr. Mortenson is not accepting volunteers for summer 2017. Routhier, F et al.. 2019. Mobility and Participation of People With Disabilities Using Mobility Assistive Technologies: Protocol for a Mixed-Methods Study.. JMIR Res Protoc. doi: 10.2196/12089. Parappilly, BP, Field, TS, Mortenson, WB, Sakakibara, BM, Eng, JJ. 2019. Determinants Influencing the Prestroke Health Behaviors and Cardiovascular Disease Risk of Stroke Patients: A Cross-Sectional Study.. J Stroke Cerebrovasc Dis. doi: 10.1016/j.jstrokecerebrovasdis.2019.03.015. Labbé, D, Rushton, PW, Mortenson, WB, Demers, L, Miller, WC. 2019. Longitudinal Outcomes Among Family Caregivers of Power Mobility Users.. Arch Phys Med Rehabil. doi: 10.1016/j.apmr.2018.08.194. Parappilly, BP, Mortenson, WB, Field, TS, Eng, JJ. 2019. Exploring perceptions of stroke survivors and caregivers about secondary prevention: a longitudinal qualitative study.. Disabil Rehabil. doi: 10.1080/09638288.2018.1544296. Mortenson, WB et al.. 2018. Improving Self-Management Skills Among People With Spinal Cord Injury: Protocol for a Mixed-Methods Study.. JMIR Res Protoc. doi: 10.2196/11069.